These layouts are perfect for Instagram photos. If you choose to upload vertical or horizontal photos, they will be cropped to a square image. 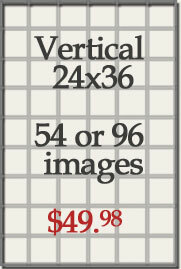 The number of images you can select for your Collage Poster are 54 or 96 images. 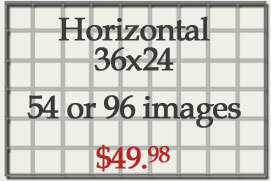 These layouts are perfect for a horizontal or vertical single photo. 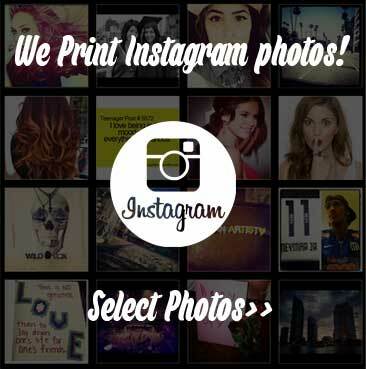 The image resolution of an Instagram photo at this size will effect its print quality & will be cropped. 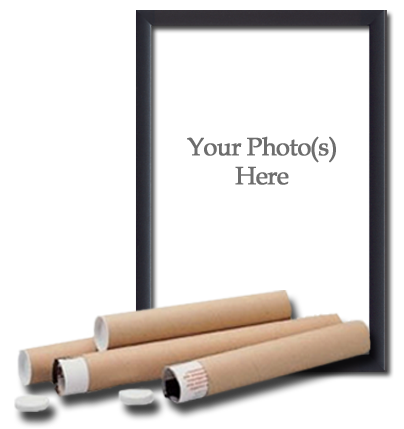 Your framed and canvas poster will have the highest quality ink from a state-of-the-art, 12-color cartridge Canon printer. We use 22mm water resistant 100% cotton canvas; the industry standard for premium photo canvassing. 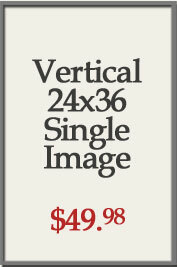 The black mat frame is 1.75" wide; the perfect complement to your poster art. 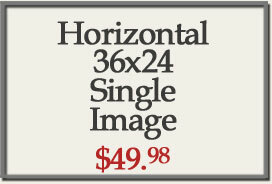 Hanging hardward will be added to the back of your frame.